#TB Bonding with students over books & authors. Can you imagine receiving an email like that on the first day of school? Classes were only 30 minutes and all I did was introduce myself, but I mentioned that I love to read and that I read diversely. This young lady, in her desire to become more well-read, reached out to a person who has the potential to make a difference in her life. That is a huge resonsibplity and one that I don’t take lightly. Of course, I sent her a long list of books and in the weeks since we’ve had some fun discussions about literature. In fact, as my students have been choosing a novel for their first unit (see my previous post that explains in detail) I’ve been having plenty of discussions and recommending books for them to read. I’ve also had students share with me books that they loved (I’ve finally read Go Ask Alice due to student pressure) and also conversations about books my students and I have both read. I share with you this story because as an English teacher, I am in the perfect position to help encourage my students to become readers and to enjoy reading. Many students come to me who only see reading as a chore, a task that they must accomplish in order to receive a good grade. Very few of them realize that reading can be done for pleasure as well. Many of my students, when I ask them about books they read when they were little, can name a number of childhood favorites, so they clearly loved to read when they were younger. At some point, the joy of reading was beat out of them and now they come to me and balk at the 7-8 books I intend to have them read this year. How does this happen and how can we change this? And that is one of the reasons why I choose the books I do. I use contemporary YA literature as a hook to get students to return to the pleasure of reading. I love reading YA novels because when students ask for recommendations, I can give honest feedback. Students look to teachers as leaders and when a student hears me say, “I loved this book because of xyz and I think you’ll love it too,” they are more than likely to pick up that book and read it. I’ve had numerous students choose books based on suggestions I’ve made for them. However, before I make recommendations I ask them, “What types of books do you like?” and then recommend based on their response. That is also another reason I read diversely; by reading books from all different genres I am able to provide suggestions based on student interest. I write all this to encourage teachers to read diversely themselves and to not be afraid to use YA books in your classroom. We get stuck on “rigor” and mistakenly believe that students need to read the “canon”, and by doing that we actually are not connecting with our students at all. We beat the love of reading out of them when we choose books from the “dead white men club”. I’m not saying that we throw out all those books all together, but that we work to achieve a balance of books that speak to students lives in the here and now, and allow our students the ability to see themselves reflected on the page. Remember, that as of 2014-2015 school year the number of students of color exceeds the number of white students. We are failing ALL students when we only have them read one type of story. By also reading diversely yourself, and reading YA, you are telling your students that teenage lives are important and worthy. That the stories of teenagers are important. So teachers, try it. Ask your students what they like to read and encourage them to share some of their books with you. After all, I would have never read the Percy Jackson series, The Heroes of Olympus series, the Twilight saga, Go Ask Alice, and many other books if I never took an interest in the books my students were reading. 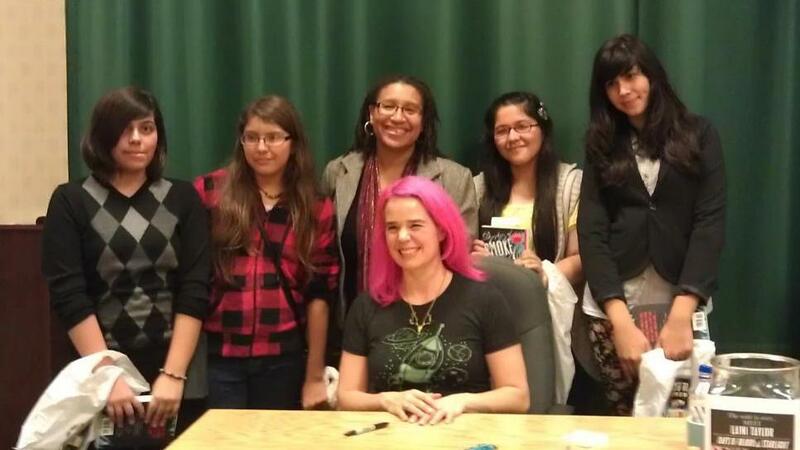 By doing so, I made lasting connections with these students, who years later, still recommend books to me. And in return, some of my students have rediscovered the love of reading again. A win for all of us. 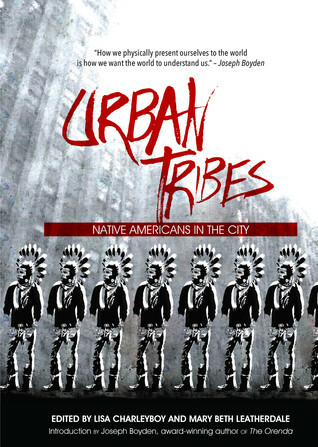 Speaking of reading good books and discussions, here are Rich In Color we will be reading and discussing Annick Press’s newest non-fiction release “Urban Tribes: Native Americans in the City.” Check out the summary below and read along to share with us your thoughts in November. The majority of Natives in North America live “off the rez.” How do they stay rooted to their culture? How do they connect with their community?